Many small business owners find themselves requiring financial assistance with their businesses at one point or another. While some fund their businesses with investors or personal loans, others find themselves wondering how to take out a business loan. Taking out a business loan may sound like an intimidating process at first, but there are a lot of resources to assist small business owners who find themselves in need of a loan. Loans are often available to small business owners and companies that have excellent credit. Traditional banks are the best option for these types of businesses and companies because interest rates are often lower with these institutions than they are when using other options. Traditional banks also offer a sense of security, as they are generally institutions that have reputations as trustworthy lenders and years of experience. Small businesses that are unable to secure a bank loan on their own may seek the assistance of the Small Business Administration. The Small Business Administration (SBA) works with small business owners to help them secure a loan through a bank. The loans are backed by the agency, and the banks are often ones that are specifically interested in assisting small businesses. The agency also offers counseling to small businesses for free to assist them in improving their business. When attempting to receive a small business loan, business owners may wonder, "how do small business loans work?" Although the owner may not have experience with small business loans, they must be thoroughly prepared to answer questions about their business. First of all, owners should decide on the type of loan they are seeking. One type of small business loan to consider when taking out a business loan is an asset-based loan. With an asset-based loan, the loan and terms are based on the owner's credit and assets. These types of loans use personal credit scores and assets to determine eligibility and lending terms. Those with lower credit scores may qualify if they have been in business for several years and have a history of steady profits. 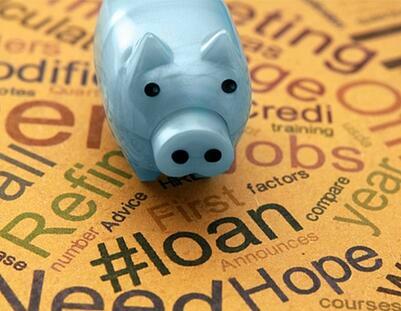 After the type of loan is decided upon, businesses should develop a business plan. Within the plan, the company's background and history should be discussed. Financial statements such as balance sheets, income statements, and cash flow statements should also be included. Lenders will look over this information to determine if a business is able to repay a small business loan. If a lender determines that a small business is eligible for a loan, they will determine specific interest rates and lending terms based on the information they have gathered about the owner and business. The loan must then be repaid in accordance with these terms. At IgniteSpot, we offer outsourced accounting services to help small business owners prepare financial reports to submit as part of their business plan during the process of applying for a small business loan. Download a free pricing guide online today or contact our bookkeeping firm by phone at 1-855-694-4648 to get started now!